Our custom Caravan canopy is the perfect solution for indoor and outdoor events that can make you look like the high-roller that you are. 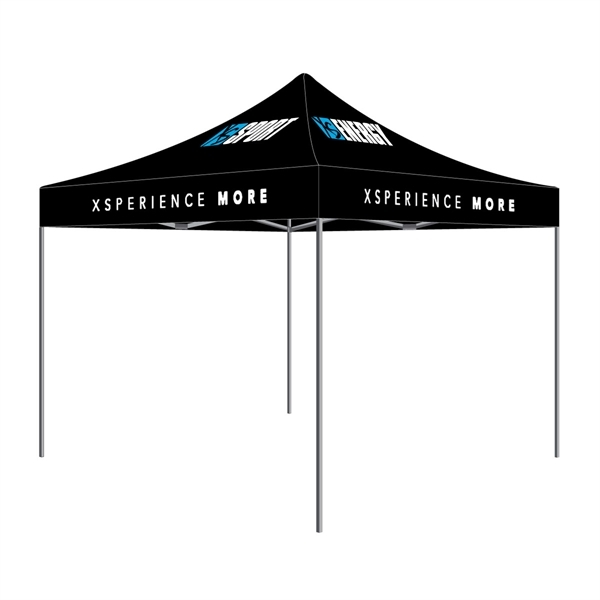 This custom 10’x10’ canopy top has alternating XS Sport and XS Energy logos on the peak panels and XSperience More on the valances. Made of high quality 500D polyester. UV protected, water resistant and meets CPAI-84 & ULC-S-109 fire codes.